I am back with more stuff from ShopLately. That's right, you can get many different lines of products all from one website. Plus you can get $10 added to your account if you sign up through Facebook! Check it out: ShopLately. 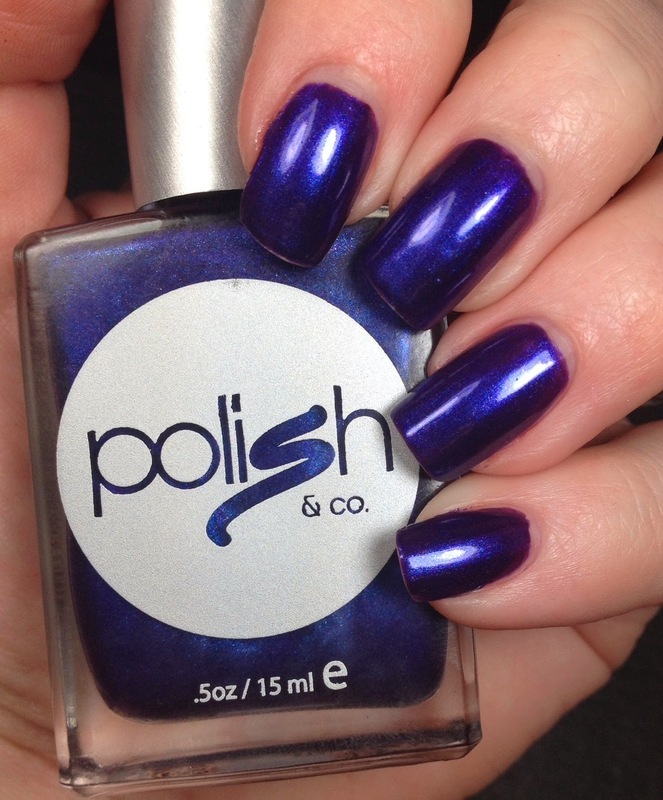 This month I decided to go back to the brand Polish & Co to see if they had anything new or if anything caught my eye this time around. Yep, they sure did. I grabbed two polishes...a purple and a jade green. The other polish I got is called Cash Only. 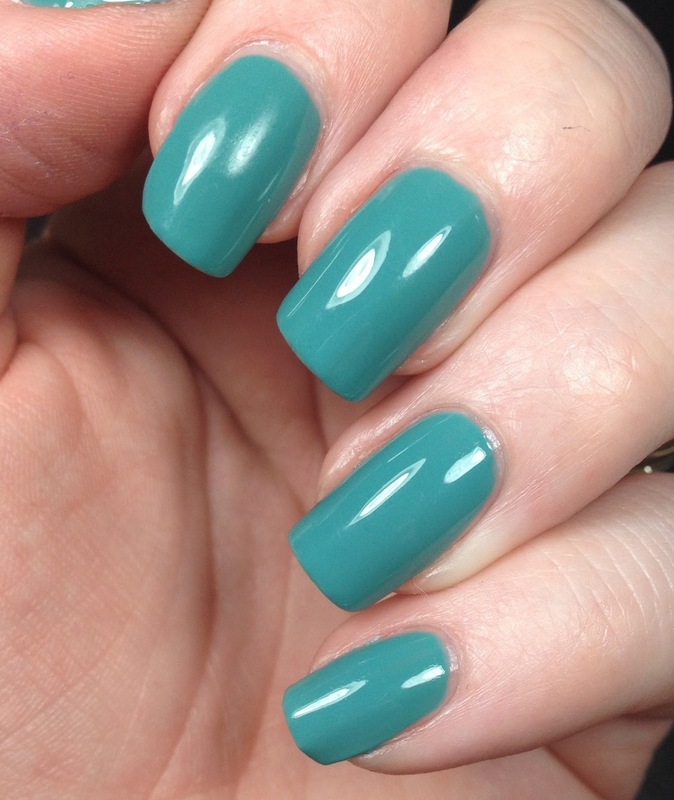 It is a crelly polish and it is a lovely jade green color. I put this on and wore it for FOUR DAYS! That's right four days. Part of that was because I was sick and wasn't up to doing my nails, but still it wore for four days! This was a little on the sheer side so I used three coats in the pictures, topped with HK Girl of course. Perhaps if I had done thicker coats it would have only taken two. But I would rather do thin coats and do more than to glop it on to do less coats. Did that make sense?? Side note: I used the ridge filling base coat from Barielle under both of these. I will say that I am happy with this line of polishes (its my second purchase from them!) and I would continue to buy from there. 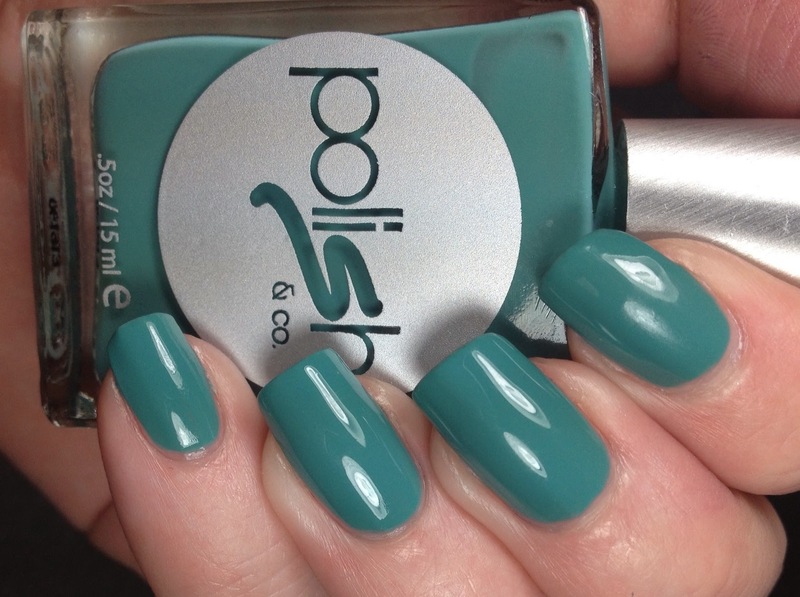 Make sure you stop over to ShopLately and check out these polishes and more! 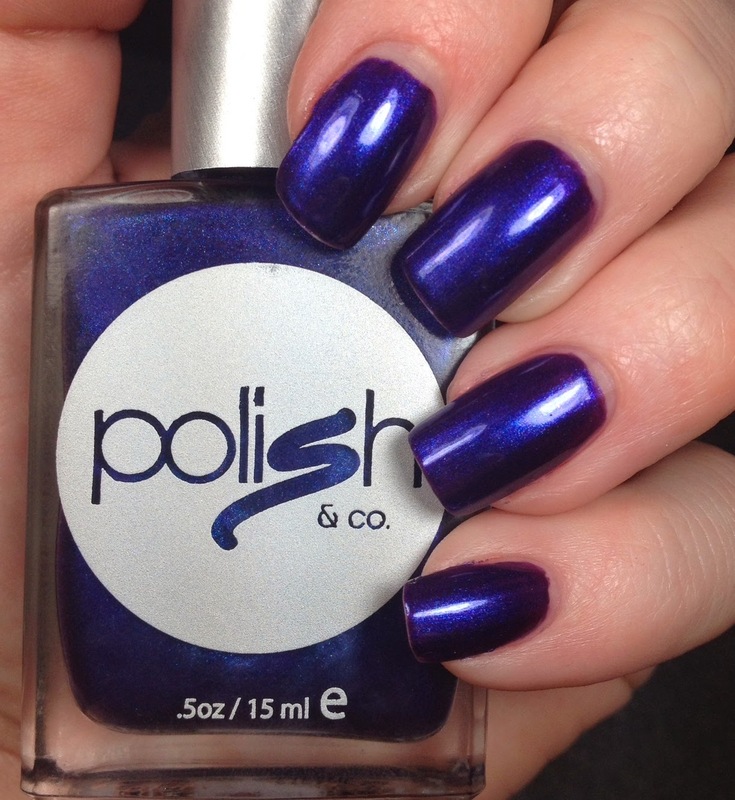 ****Polishes were purchased with credit from ShopLately, all opinions are my own!!! Out of the two, I love Cash Only. Its just gorgeous!